Your doing a great job - my only advice from my experience is bonding paste. The work you are doing now is spot on but when you need something that is as easy to work as filler but you need less shrinkage, more adhesion and much more durable finish then bonding paste is great. The stuff i used was two part, when its ready to use it changes colour. Its normally used to join fibreglass mouldings but i found loads of uses for it. 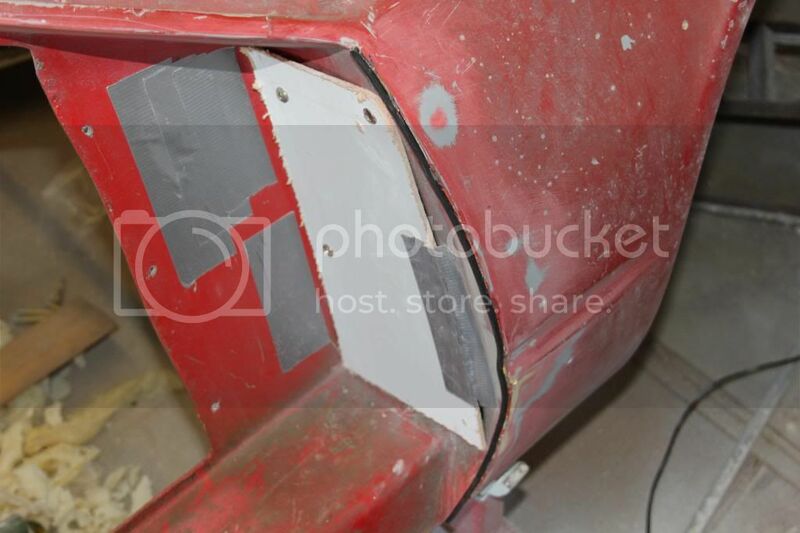 So the plan is this is a buck, to make a mould, to make a door outer, then same thing for an inner door and bond the two together as original? Thats pretty much it, I am making it up as I go along as its not something I've done before, so I think it will take a few attempts. As I said when I got the car, if I can't make the the doors the shell is a non starter. I am happy with the progress so far the dowel worked well and my sanding block mold is looking OK Ill try and take a few more pics tomorrow. I thought using clay would be alot more expensive and I have never played with it before, I have found a site selling 900g blocks for £7.20 so Ill order some and give it a try. Ill have a look at bonding pastes. 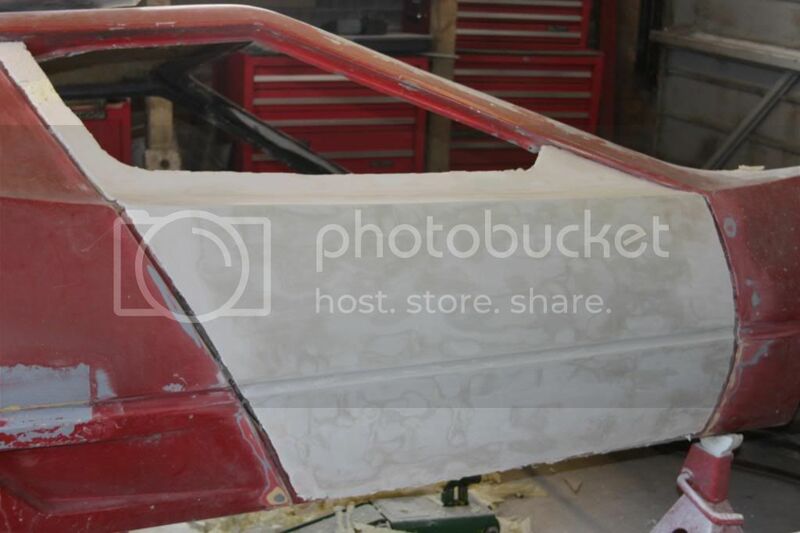 I have put GRP over foam in the past and it has never worked very well, which is why I went for a thin skim of body filler. I have lost the body line towards the top front of the door going towards the A post B post you know were I mean. I think a bit of clay there might be a solution. The plan has always been to take the door (buck) away from the car to make the mould, which I do not think I could have done if it was all clay. Here ends my 2p worth. The secret to laying up over a foam buck is packing tape, brown shiny stuff, 4" wide packing tape, cover what ever you have made your buck from with it and polish with a silicone cleaner them lay up your mould onto it,(with some reinforcment struts of course). You will need to polish out the overlap marks in the mould but that will be next to nothing it is so thin. 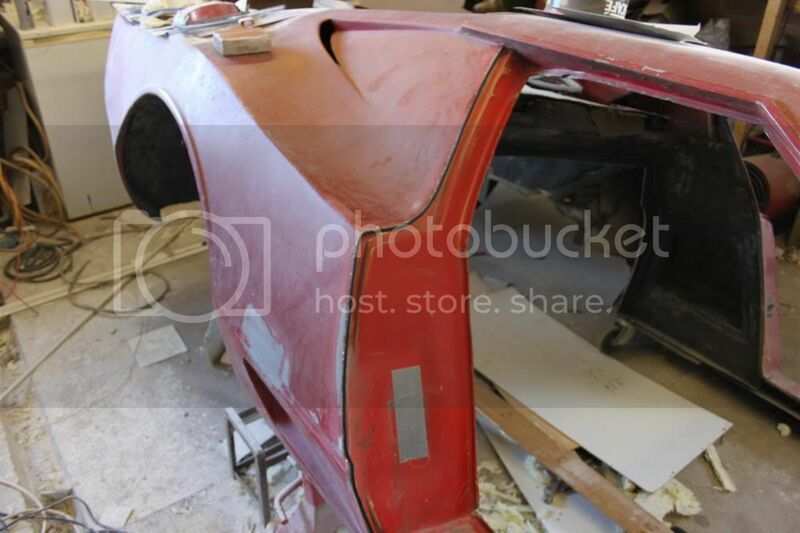 Well it’s been very boring work for the past few weeks just filling and sanding (I really hate bodywork) any way the main body of the door is pretty much there, its got to a point where I need to get some guide coats on. But I do not want to do that until I have finished the top part of the door. 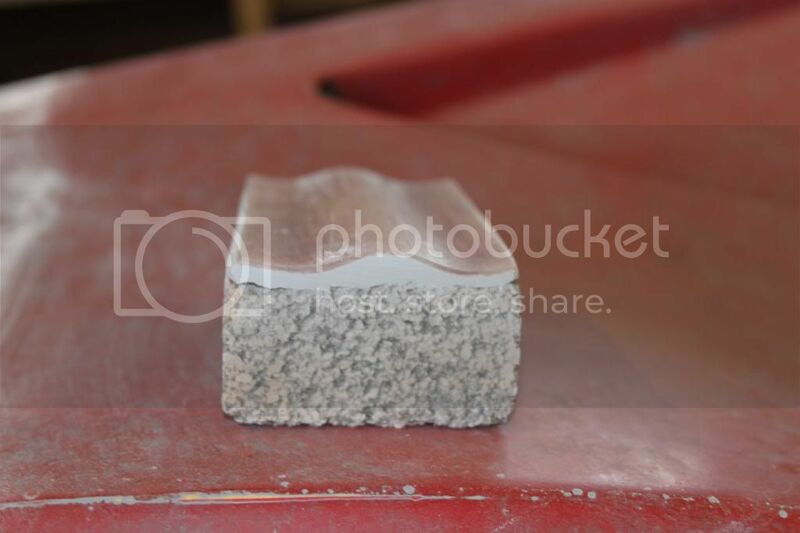 Here is a pic of the sanding block I made. I attached it to a cork sanding block with some body filler so as not to misshape the contour. I also need to find a way to get a nice clean gap between the door and the body, my first thought was to use a 5mm grinding stone in a Dremel, but that didn’t work to well, so I thought about attaching something to the body that is the correct size but is flexible enough to follow the contours but ridged enough not to get squashed. I trawled the model shops and DIY shops for inspiration but came up blank. Any way the wife has been on at me to fit a new mains socket in the bedroom for a hair dryer or something, as I was fitting it I had a Eureka moment I could use 6mm mains cable it is both flexible and ridged. 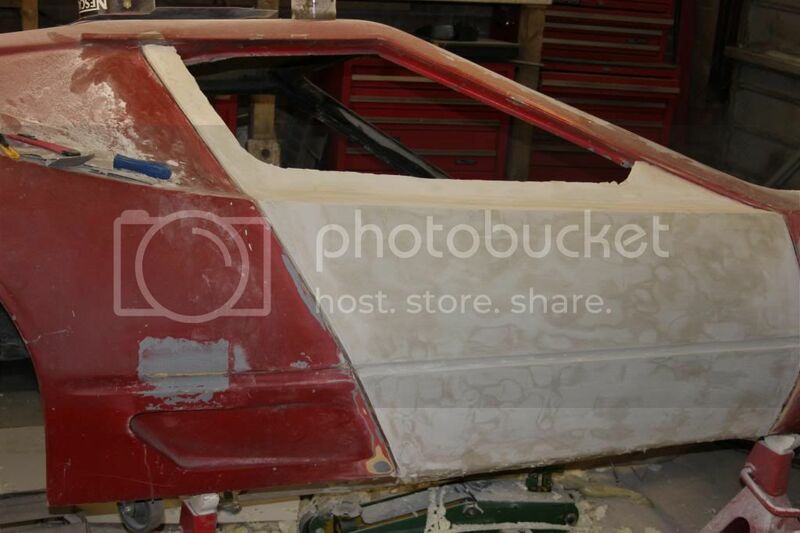 Nice progress on your Avante. Also good to see you use the work Eureka. Like the use of the gap maker, another solution to tuck away in the usefull bit of information bit of my brain.